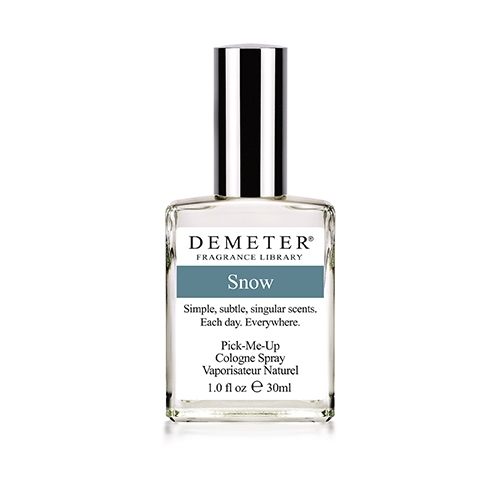 The Demeter Fragrance Library consists of over 300 fragrances inspired by everyday objects and experiences. 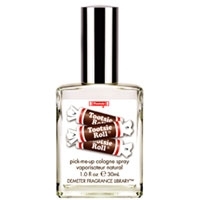 It is the olfactory version of “stopping to smell the roses”. 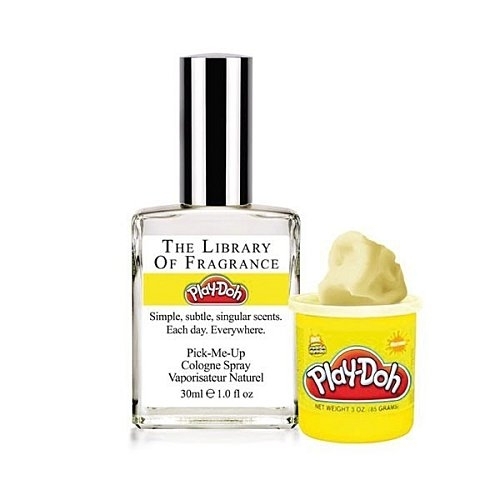 The brand isolates and highlights the beautiful scents that surround us every day, in wearable formats. 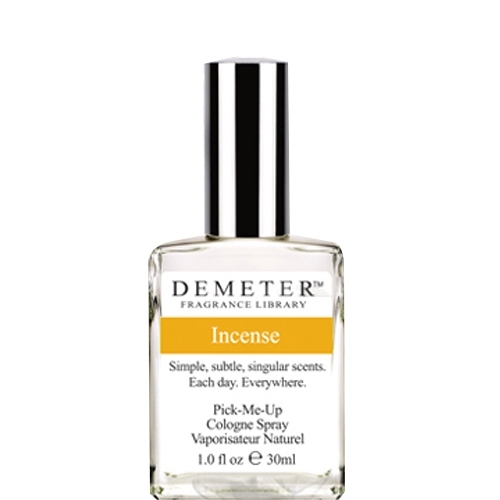 Demeter's mission remains to expand the daily use of fragrance, because every time you smell something you love, you smile. And the world needs more smiles. 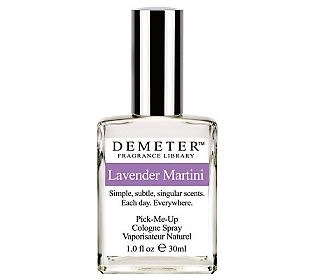 "The soft and clean notes of fragrant talc. 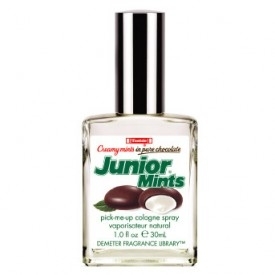 Childhood memories of floral, powdery and musky notes." "A refreshing fragrance with waves of fruit notes (red berries, lime) enhanced with liquor notes for..."
"A woody composition inspired by Crayola crayons. 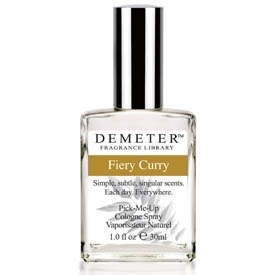 But ‘Crayola also makes crayons that smell like..."
"The childhood memories scents of Play Doh, with its sweet aromas remembering almond, vanilla and..."
"Described as an invigorating and refreshing experience, Fiery Curry melts chili, lemongrass, lime,..."
"For men or women, Incense is based on copal. According to Demeter ‘A fragrance term copal is now..."
"Blueberry Muffin : blueberry, cream, butter, sugar, butterd popcorn, vanilla. Mango Pineapple..."
"Aromatic notes of peppermint and wild mint fuse under a gourmand chocolate layer. For men or women." 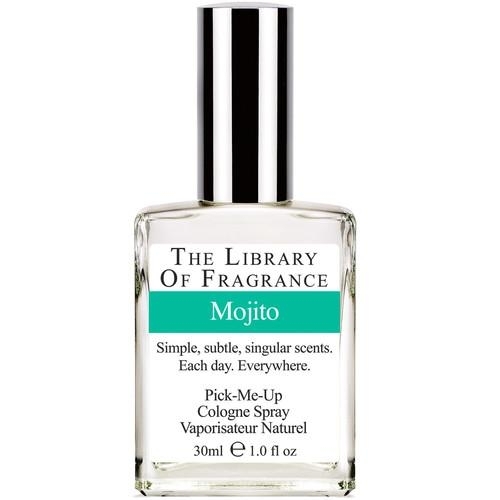 "The recipe on the bottle’s label suggests : 1 wedge fresh orange, 3 fresh lavender leaves, 1.5 oz..."
"The recipe for a mojito: a few leaves of green mint, some rum, a pinch of lively citrus and the..."
"My Melody is a sweet combination of almond and vanilla. 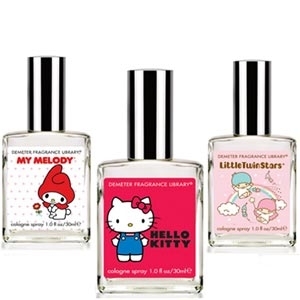 Little Twin Stars is a fresh combination of..."
"Demeter fragrances are linear, single note fragrances, so they do not have a top, middle and bottom..."
"A gourmand combination of fudge, caramel, chocolate and vanilla. For women or men." 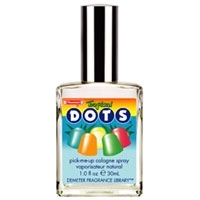 "A fruity combination of grapefruit, pineapple, passion fruit, mango and coconut. For women or men."